In the ancient tradition of alchemy, practitioners of the secret arts spent years searching for the philosopher’s stone – that elusive substance reputed to turn base metals into gold. In today’s booming economy, inexperienced investors are wagering their IRAs on IPOs, hoping a magical blend of stock options and Internet day trading will transform their modest savings into golden portfolios. 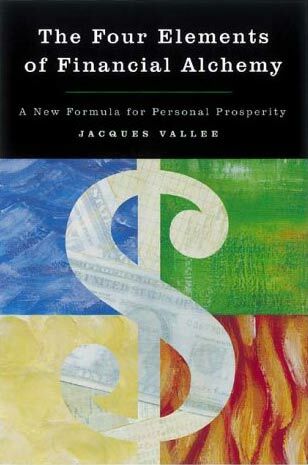 Without a clear understanding of investing basics or a practical plan for the future, many starry-eyed investors end up sacrificing their nest eggs to failed ventures, complicated tax penalties, and hidden service charges (…) Jacques Vallée uses the elements of ancient alchemy – Earth, Water, Air and Fire – as a framework for creation a prosperous financial strategy that integrates age-old principles with modern technology, financial wisdom and personal values. Quel est le secret du succès économique actuel des Etats-Unis? Jacques Vallée apporte une réponse àcette question : quelques spécialistes, en Californie, ont découvert le moyen de favoriser et de faire fructifier l’innovation. Ce moyen, c’est le capital-risque. Ces professionnels sont des financiers, des entrepreneurs qui prennent le temps d’écouter les inventeurs et soutiennent le démarrage des projets prometteurs dans les domaines de l’informatique, de l’électronique, du multimédia, des matériaux, du génie génétique, etc. 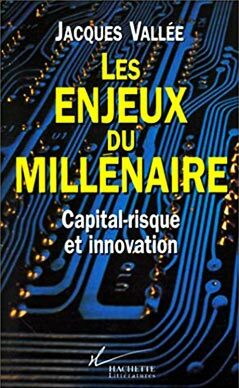 Il ne s’agit pas simplement d’argent : les capital-risqueurs aident les innovateurs à organiser leur société, àgérer leur développement. Ils sont les partenaires des inventeurs, aux antipodes de l’image classique du capitaliste. Jacques Vallée est l’un d’eux. Installé depuis trente ans dans la Silicon Valley, il a vécu la naissance du venture capital et le prodigieux essor des nouvelles technologies qui en résulte. Dans un langage simple, au travers de multiples anecdotes, il raconte comment le capital-risque a transformé le monde. Mais Jacques Vallée reste optimiste et propose des solutions. Sera-t-il écouté? 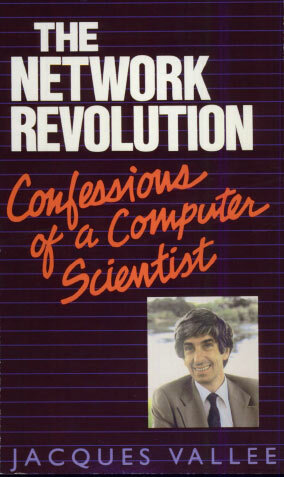 The Network Revolution, the personal view of an erudite, compassionate insider who helped shape this technology, penetrates behind the scenes to reveal the human side of computer science as it has never been shown before. Jacques Vallée writes in nontechnical language. He takes the mystery out of the technology and shows how computer science has suddenly put humanity at a major crossroads. The choices which will shape our future are being made right now. This book and its readers will influence those decisions. Mit dem Vordringen von Computern in unseren persönlichen Lebensraum sehen wir uns mit einemmal an eine entscheidende Wegkreuzung katapultiert. Bewegen wir uns auf einen total kontrollierten Polizeistaat oder auf eine humanere, demokratischere Gesellschaft zu? Noch haben wir die Wahl, noch kÖnnen wir die Richtung bestimmen. In einer faszinierend bildhaften, unterhaltsamen Sprache berichtet Jacques Vallee, ein engagierter Informatiker, aus den Denklabors der Computerwissenschaft. Er enthà¼llt ein bedrohliches, gleichzeitig aber auch ein menschenfreundliches, kreatives und subversives Potential. 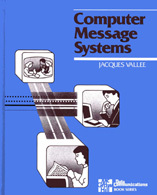 2: The Message environment. The Organization, its management, its culture. Electronic Meetings is more about meetings than electronics. It is about meetings that happen to be held over such media as audio, video, or computer-based teleconferencing. It is about alternatives to face-to-face meetings. To explore the dynamics of use in detail, Electronic Meetings takes readers on an imaginary leap to a future world where various forms of teleconferencing are available for an international meeting. The meeting is triggered by an impending crisis – a drought in the fictitious African country of Camelia. It is a bilingual communication situation involving a mix of data interpretation, information exchange, negotiation and group decision-making. Participants represent local, regional and international perspectives. The setting is tense and demanding; the use of electronic media could either ease the tension or lead to total breakdown in communication. A set of eight story-like scenarios illustrates these possibilities, highlighting the strengths and weaknesses of audio, video, and computer-based teleconferencing, as well as face-to-face meetings. Each scenario probes the ways in which media can be used both very effectively and very ineffectively. Together, the scenarios allow would-be users of teleconferencing to draw informed speculations about future uses and practical conclusions for present applications. (Selected representative items. Complete professional archives are available to researchers through the Computer History Museum in Mountain View, California. Publications of the Astronomical Society of the Pacific, August 1966. Retrieval Formulae for Inquiry Systems (Natural language Artificial Intelligence). The first computer-answering AI system using actual scientific data. Doctoral dissertation, Northwestern University, 1968. DIRAC: An Interactive Retrieval Language with Computational Interface. Information Storage & Retrieval Jal. Vol.6, no.5, Dec. 1970. Archives of Pathology, June 1971. The Organization of Research Data Banks: Experience with DIRAC-based Information Systems. (Co-author with Dr. J. Allen Hynek et al.) 34th Annual Meeting of the American Society for Information Science, Denver, Nov. 1971. Astrophysical Journal 171: L27-L30, Jan. 1972. The DNLS Command Language Monitor on the ARPANET: Functions and Results. SRI-ARC online Journal, entry 14170, Englebart Arpanet Archives, Feb. 1973. (Co-author) Journal of the American Society for Information Science, July-Aug. 1973. Computers and GeoSciences Vol.2, 1976. The Computer Conferencing System of the Institute for the Future. Proceedings of the Conference on Computer Communications Networks, Schloss Laxenburg, Austria, Oct.1974. Computer Conferencing (co-author with Robert Johansen et al.). Technological Forecasting & Social Change 7, Aug. 1975. Geologic Applications of Network Conferencing: Experiments with the FORUM System. The Corporate Database: Asset or Liability for the Future? Institute for the Future: Corporate Associates Program, Oct. 1975. The FORUM project: Network Conferencing and its future applications. Computer Networks, Vol.1, no.1, June 1976. There ain’t no “User Science”! A tongue-in-cheek discussion of interactive systems. 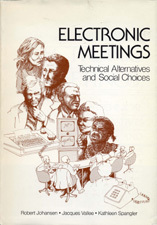 Annual Meeting of the American Society for Information Science, Boston, Oct.1976. Telecommunications Policy Vol.1, no.1, Dec. 1976. Modeling as a Communication Process: Computer Conferencing Offers New Perspectives. Technology Forecasting & Social Change, 10, 1977. The Futurist, June 1975. Reprinted in People’s Computers Vol.6 no.2, Sept. 1977. 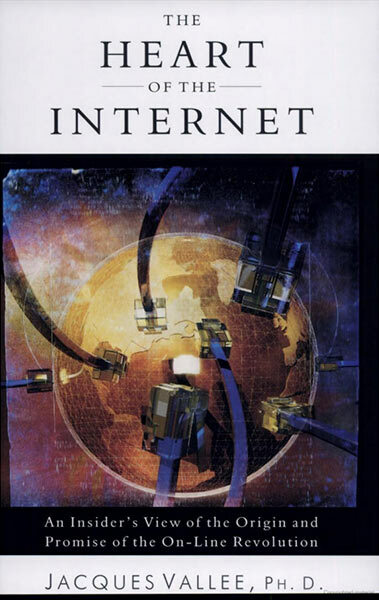 Congressional Testimony on the use of Computer Networks in Emergency Management. Presented at the 1981 Al Gore Hearings, US House of Representatives, 98th Congress, Subcommittee on Investigations and Oversight, Committee on Science & Technology. (Govt. Printing Office, Published Oct.1984). The Role and Limitations of High-Technology in Emergency Management: Some Insights from Silicon Valley. AAAS Annual Meeting, San Francisco, 20 Feb. 1994. The State of Venture Investing in France. Capital Finance, Jan. 1998. Ground NASA? The Sciences (NY Academy of Sciences), Nov. 1998. Clusters: The Importance of Innovation. International Conference on Territorial Development. Paris, 28 Jan. 2002. Early-stage investing in the Era of Uncertainty: The strategic importance of Angel Groups and Mentoring Networks. (Co-author). Global Entrepreneurship Research Conference, Univ. of San Francisco, March 2006. Stating the Obvious: I, Product. Note sur une Observation de Sputnik-2. Revue d’Informatique et de Recherche Opérationnelle (RIRO) No.3 (1967). Les Langages de Gestion et l’Implantation Rationnelle des Fichiers. Revue d’Informatique et de Recherche Opérationnelle (RIRO) No.9 (1968). La Documentation Automatique en Temps Partagé. Revue d’Informatique et de Recherche Opérationnelle (RIRO) B-I (Jan. 1971). L’Age de Raison du Capital-Risque Américain. La Vie Française (Dec. 1985). Les Enjeux du Millénaire : Vers une Europe de l’Innovation. 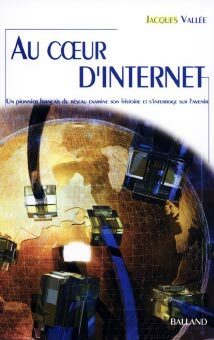 Management et Conjoncture Sociale (Feb.1996). Pourquoi est-il si difficile de financer l’innovation en Europe ? Le Figaro Economie (12 Dec. 1996). Le succès de la Silicon Valley est-il exportable? Enjeux – Les Echos, Dec. 1998. Anges et investisseurs dans la Silicon Valley (co-author w. Graham Burnette). Revue Française de Comptabilité (May 2006). The Strange Case of the Cracovian Operators, unpublished.